Instant Pot Asparagus. Delicious garlic butter asparagus steamed in just 2 minutes in the Instant Pot pressure cooker. So good that you will want this on the dinner menu every week. Prepped and cooked and seasoned in 5 minutes. 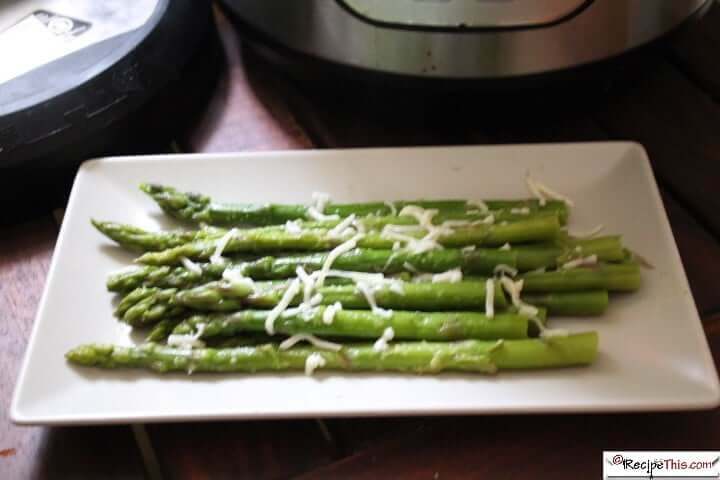 Instant Pot Asparagus has to be one of my favourite all time foods, I just wish it was as cheap as carrots or broccoli, as if it was I would eat asparagus every week. I tend to buy my asparagus from a local supermarket called Lidl. Its recently become popular in the US and is already famous in the UK. It’s a German brand and I love the mix of products that they have on sale. For example, they will often have a special week dedicated to a certain type of food. I.e. Indian, Italian, Mexican or even African food. My hand blender and favourite Christmas biscuits came from there too. Recently though they had an XXL sale on. This is where you paid large prices for XXL sizes. It was a great deal and included some asparagus and mozzarella cheese. Dominic kind of looked at me and thought I was mad. After all, this year on the blog we wanted to show people how to feed a family of 5 on $300 and that asparagus must be way out of our league. Well for the portion size it would normally cost us 5€ for the asparagus but due to the deal worked out at 1€ instead so it was like it was 80% off. A deal I could not live without! Though, I did have to behave myself to stop myself from buying Lidl’s whole supply! But I thought to myself, if I could only cook it one way, then it would be steamed perfectly in the Instant Pot and loaded with garlic butter. I mean a girl needs garlic butter in her life and then it gets better as it is served with a sprinkling of mozzarella cheese. I HATE the fact that when you boil asparagus it loses all its flavour. I HATE it when the tip is too soft and then the stalk is so hard it would break your tooth. But the great thing about the Instant Pot is that it solves all those problems. With my Instant Pot Asparagus recipe, I will show you how to keep that amazing flavour and how my stems are as perfectly cooked as the asparagus tips are. #1 Trim down the ends so that you have a soft finish. You also need to trim them down enough so that they fit into your Instant Pot. #2 Add warm water and steam for 2 minutes. This then allows both the tip and the stalk to cook. #3 Drain the Instant Pot Asparagus and place back into the Instant Pot inner pot. Add your seasonings and your butter and garlic. Then lightly cook until the delicious butter has melted. Then serve it with grated mozzarella and it really is as simple as that! Easy Instant Pot Pressure Cooker Asparagus. A new addition to our Meatless Monday and a perfect mid-week veggie side dish. Though if we could we would binge on this! Trim down the very end of the asparagus so that you don’t have that incredibly hard end. Then look at how they fit in the Instant Pot and if they don’t fit properly, then take a little bit more off. Place a cup of water (250ml) over the asparagus and place the lid on the Instant Pot. Set the valve to sealing and cook on manual for 2 minutes. Use QPR (quick pressure release) to manually release pressure. Drain the asparagus and place back in the Instant Pot inner pot on the keep warm function. Add the garlic and the coconut butter along with salt and pepper. Allow for the butter to melt and toss the asparagus in the garlic butter using a pair of tongs. Serve with a sprinkling of grated mozzarella cheese. The amount of asparagus we used was 232g after we had removed the packaging and trimmed the tails. We used a healthy combo of coconut butter and garlic. You could of course use any butter you like. Even though we finished the Instant Pot Asparagus with garlic butter you can of course remove it and just salt and pepper it. 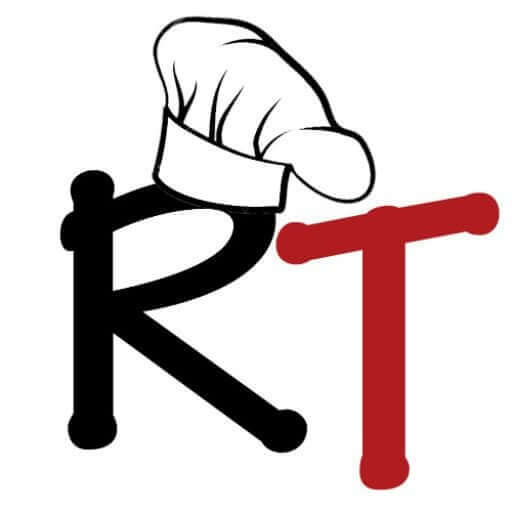 Would like to see US measurement with your recipes. Because i have problems doing European measurement. Did you click the link on the recipe? As our recipes are in both imperial and metric and you just click the recipe in the link to go from Aussie/European to American/Canadian measurements.